Hey, folks! Heather here! One of our former investigators, Lani, did an amazing job researching and writing this post. 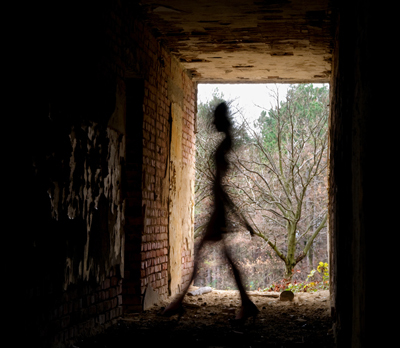 In it, she recounts her experiences with shadow people and shares a few hypotheses she has encountered in her research on this fascinating subject. Enjoy! Shadow people have been an obsession of mine since an early age, partly due to curiosity and partly due to personal reasons. I have conducted quite a bit of research and I am baffled at the vast amount of individuals that have experienced shadow people in the past and/or encounter them on a regular basis. My research has led me to the realization that shadow people mean different things to different people. So what are shadow people? Where do they come from and why are they here? There is an abundant amount of theories out there trying to pinpoint what these dark humanoid figures are. One theory is that they are a fabrication of our imagination. Obviously this theory stems from skeptics that have never experienced a shadow person. They continue to say that it is the work of our over-active imaginations, our minds playing tricks on us. Some even speculate that there are natural causes that lead us to believe that we are seeing a shadow person. I agree that the human mind, especially in a frightened state, can in fact play tricks on us. But can these mind tricks account for so many occurrences? I think not. Theorists also consider that these shadows could be time travelers. This theory I find very interesting but less plausible. They suggest that the shadows have come from the future and possess technology that we cannot conceive of yet. There are theories out there that suggests shadow people are the shadows or essences of sleeping individuals that are having out of body experiences. It is thought that while we sleep, we all travel outside of our body and the shadows we are experiencing are the ephemeral astral bodies of these twilight travels. There are also theories that shadow people are demonic in nature and will exhibit an aggressive disposition when encountered. The thought is that if we experience a shadow person that a catastrophic event is soon to follow. This, in my opinion, is mainly because of the malicious feeling that is associated when we encounter shadow people. This simply could be that we are naturally frightened when the experience occurs, which in turn leads us to believe that there is malevolent intentions. Other theories suggest that shadow people are simply another type of ghost. However, they do not have the same characteristics that a ghost has. Ghosts are generally see-through and misty white, whereas shadow people are dark in nature and have mass that you cannot see through. Regardless of their label, shadow people could very well be more than just one type of being. My experience with a shadow person happened between the ages of six to twelve. I grew up in a house that was somewhat older and my bedroom was the only bedroom that was exposed to the back yard, all other family members bedrooms were facing towards the front yard. Quite often after I went to bed I would see a man-shaped shadow standing in the corner of my room. Sometimes I would only see part of his silhouette and sometimes all of him. Sometimes I would not see him at all but I could sense him. He would stand in the corner of my room and it was apparent that he was darker than the space around him. Looking back and knowing what I know now, I do not think his intentions were malicious, he just petrified me. I did not only experience his energy at night, this is just the time that I noticed it the most. I could always sense his energy when he was about to appear and felt it until he was gone. In addition to the shadow man that regularly visited, one night I saw an older lady as plain as day float across my bedroom floor. She looked as if she was from the early 1900’s because of the way she was dressed. It looked as if she was gently smiling at me as she floated across the floor and disappeared into the wall that led to the back yard. I have always felt I was sensitive to energies around me and maybe that is why I was seeing these visitors. I got the sense that the ghostly apparitions were somehow tied to the back yard. Often when cutting through the back yard to go to a friend’s house, I found myself running because I felt someone was watching me. My back yard had a completely different feel from the front yard at my house. There were a few times at night that I would hear, what I thought to be, knocking on my window and I would pull the covers over my head. I knew that my windows were so high up that no one could possibly reach them and the trees did not go up that high. Once we moved from that house, around the age of 13, I had no problems sleeping alone. I did not experience the shadow man again until around 16. Although I did not physically see him I felt his energy. For the most part I wasn’t as scared as I was when I was younger. Even to this day, often I feel I see shadows out of the corner of my eye, only to look and nothing is there. This entry was posted in experiences, fright, investigators, personal experiences, shadow people and tagged Atlanta ghost hunters, Atlanta paranormal investigators, Georgia ghost hunters, Georgia paranormal investigators, ghosts, North Georgia ghost hunters, North Georgia paranormal investigators, paranormal, paranormal georgia, Paranormal Georgia Investigations, paranormal investigators, PGI. Bookmark the permalink. 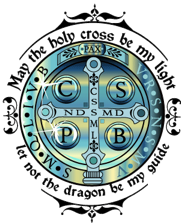 Hi I just thought I’d say I’m a true believer in the paranormal and have had my own personal experiences which started when I was a kid. I wouldn’t say I was psychic or a medium or anything like that but I’ve had my fair share of experiences, even been touched or rather grabbed by something that wasn’t there. I still to this day see as you were referring to in your article,shadow people, they’re always in the corner of my eye but I know I see what I think I’m seeing even if I’m the only one who does. I was intrigued when I saw my first Shadow Person at a home investigation last year. It didn’t scare me as much as astound me. But then, I wasn’t alone. I was investigating with the team. Safety in numbers, right? I agree, when you are on an investigation and in that mode with other investigators it is amazing. When we were at OSPH and I saw one it took a few minutes for it to sink it, but once it did I was thinking that was so awesome. I’m interested, but skeptical (as a general rule.) “Feeling energy” isn’t very convincing. Did you ever think to try to take a picture or video?